Combine quinoa, salmon, feta, eggs, pinenuts, carrot, parsley, zucchini, mint, sultanas, seasoning, honey and lemon zest in a bowl. Lightly grease 6 egg rings and place carefully into a medium heated pan. Divide half the quinoa mix between the egg rings, cook for 3-4 minutes on each side or until golden. Remove quinoa cakes from ring, place in low heat oven to keep warm. Repeat to make total 12 cakes. 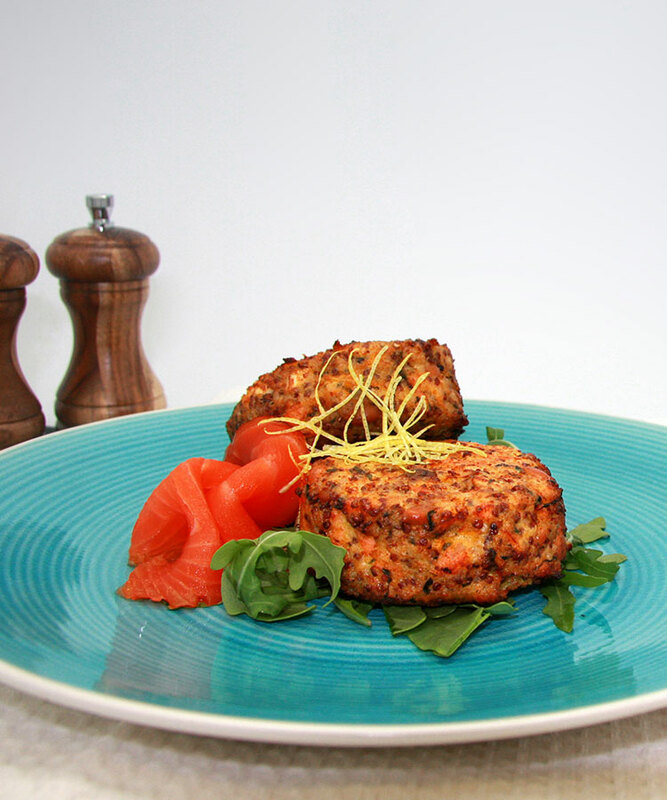 Serve with a slice of Tassal Smoked Salmon and fresh rocket and enjoy!